Illinois’ license plates are getting a revamp. 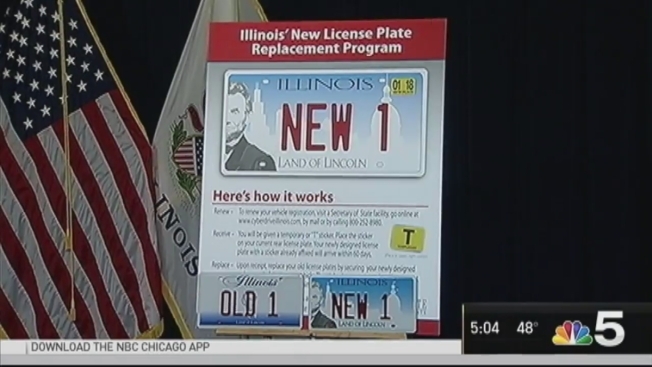 Secretary of State Jesse White announced plans for a new license plate replacement program Tuesday that will replace older license plates with newly designed plates for free. The program is expected to begin in January, with plates manufactured in 2000 and 2001 eligible for replacement. In 2018, plates from 2002 and 2003 will be replaced. By 2027, the department will be replacing plates from 10 years earlier. Motorists not eligible for the free replacement but whose plates are difficult to read and show signs of wear can apply for a new plate at no charge. Other ineligible motorists can pay $29 for a new plate beginning in January at cyberdriveillinois.com.